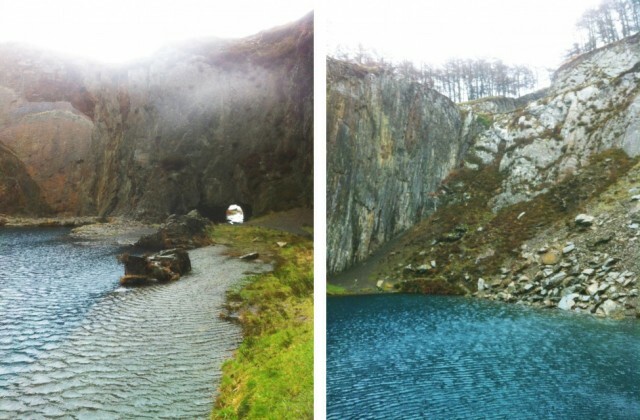 Exploring a beautiful and slightly eerie old quarry pool hidden in a pocket of southern Snowdonia, complete with secret Hobbit tunnels and incredible views over Cardigan Bay. Finding the deep, glassy Blue Lake feels like unearthing a special secret. 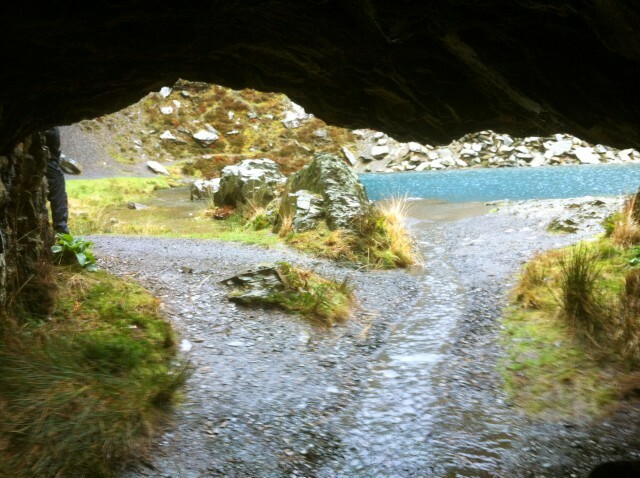 The footpath to the old Goleuwern Slate Quarry where the mineral-rich rocks have created such an incredible lagoon isn’t really even signposted, and the walk itself shows no sign of ending in such a magical place – but that’s part of the charm of hunting it out. 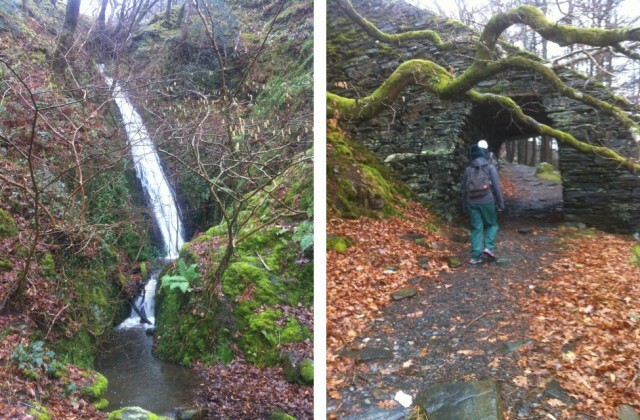 I was lucky enough to have my wonderful mate and ace tourguide wee Jill on hand to chaperone me around the wonders of southern Snowdonia, where she lives, and she showed me the way to this eerie spot. We drove from Twyyn along the rugged coast road whilst it rained so hard the window-screen wipers pretty much gave up, exhausted. Luckily it had slowed to a light shower when we turned off near Fairbourne. The footpath to the quarry is called Ffordd Panteinion, and it quickly clambers up a steep hill, offering gorgeous views out over the bay. 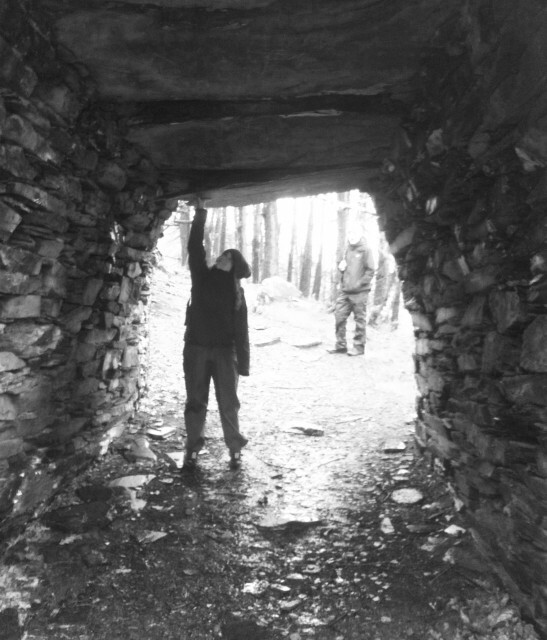 As we carried along the path we saw the first signs of the human hand in the landscape – a towering slate archway that marks the entrance to the old Goleuwern Slate Quarry (the name and the wet grey slate make it feel extremely Tolkien-esque). Pass under and it feels like entering a goblin land. Massive piles of scree threaten to topple over the path, which winds up to another slate archway which groans under its own weight – I walked through this one pretty fast. 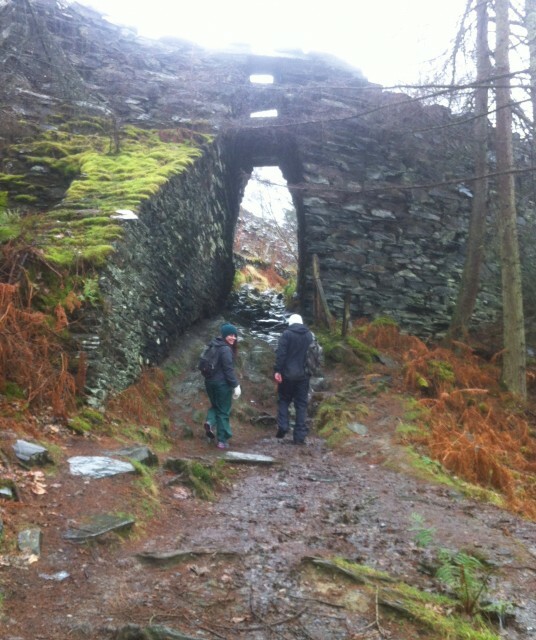 Then suddenly we were up on a little plateau, which still has rusted bits of half-buried machinery scattered about, as well as a minuscule slate hut to shelter in. You still can’t see the prize from here, but look closely at the hillside and there’s another little tunnel, deep and dark this time and still laid with old metal cart tracks. We had to wade shin deep through the final tunnel, but wet boots are a price worth paying. 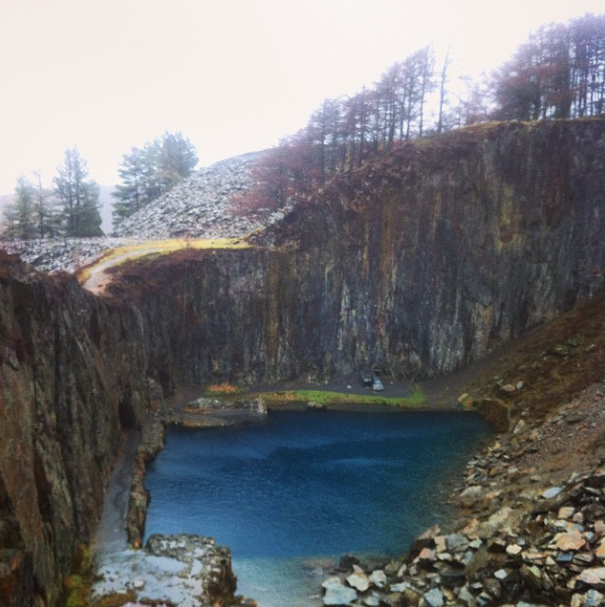 At the other end is the old quarry pool, and whilst ‘Blue Lake’ might not be the most poetic of names, it does the job – the lagoon is an incredible metallic azure colour and totally still and peaceful, hidden in its little hill pocket. Above the water are towering trees and the water looks, as rumoured, to be bottomless. I’ll be back here in the summer for a wild swim in its mysterious deep blue depths. Here’s the full step-by-step walk. Wow that’s so gorgeous! Do you know if it’s just super blue because of the depth or is there some kind of mineral in the water that makes it so blue? 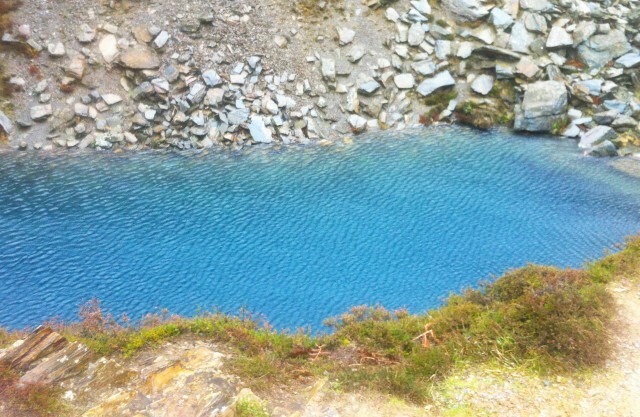 Wow the blue lake looks so beautiful. The water looks like it’s straight out some movie scene, really lovely. This looks beautiful. I’ve yet to climb Snowdonia but it’s on my list this summer! 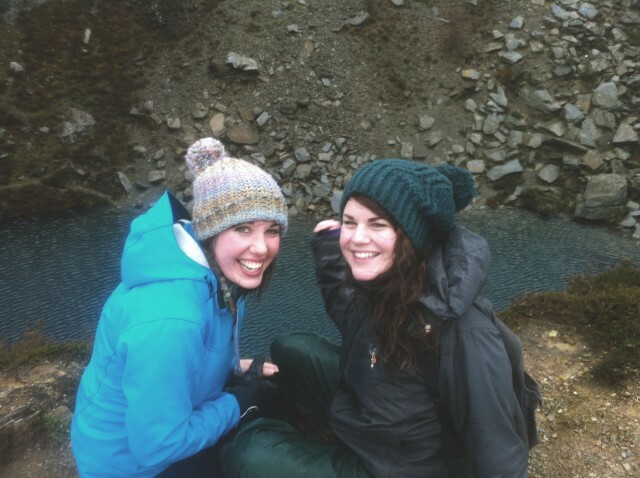 I’ve heard the lagoons are very very cold so hats off to anyone swimming in them.